We bring for our clients a range of autoclaves that are pressurized device used for heating aqueous solutions above their boiling point. This is done to achieve sterilization. 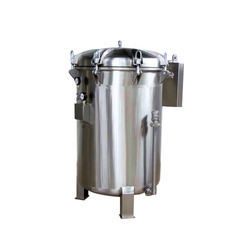 Also used in processing materials, the autoclaves offered by us are used as an industrial machine where elevated temperature and pressure. Innovative Vertical High-Pressure Autoclave with automatic controls and safeguards to managing daily sterilization in the hospital and clinics. When the water level falls down the equipment automatically gets the cut power supply to protect the elements to burning out dry fitted with water gauge glass for water level indication, water Inlet, and Outlet Values. Specially designed heat resistance gasket. We deal with wide range of Innovative Vertical Autoclave Wing Nut Locking. 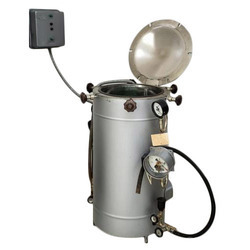 We bring forth an elaborate range of Innovative Cylindrical Horizontal Autoclaves, which is offered at industry leading rates. 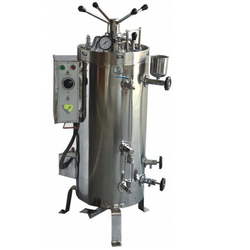 These products are widely used in various laboratories for their day to day studies on scale sterilization procedures where utmost significance is laid on the dryness of the sterilized medium. This range of products is manufactured in exact accordance with the preference and requirements of the clients. 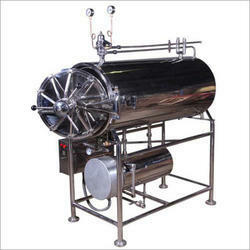 We offer a wide range of High-Pressure Rectangular & Cylindrical Horizontal Autoclave. It is Triple walled with a steam jacket and separate boiler. Inner chamber and steam jacket are made out of Heavy gauge S.S. sheet with leak-proof argon welding. It has single piece door made of stainless steel. Backplate and rising are also made of thick stainless steel sheet. 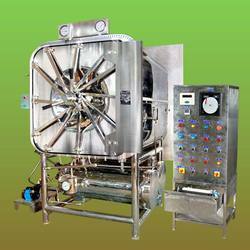 All the Autoclaves are hydraulically tested to withstanding 2.5 times the working pressure. Mounted on a tubular steel frame with ground leveling screwed flanges. The Outer jacket is wrapped with an asbestos sheet or glass wool to minimize the heat losses due to radiation and is covered by polished stainless steel for the elegant appearance.